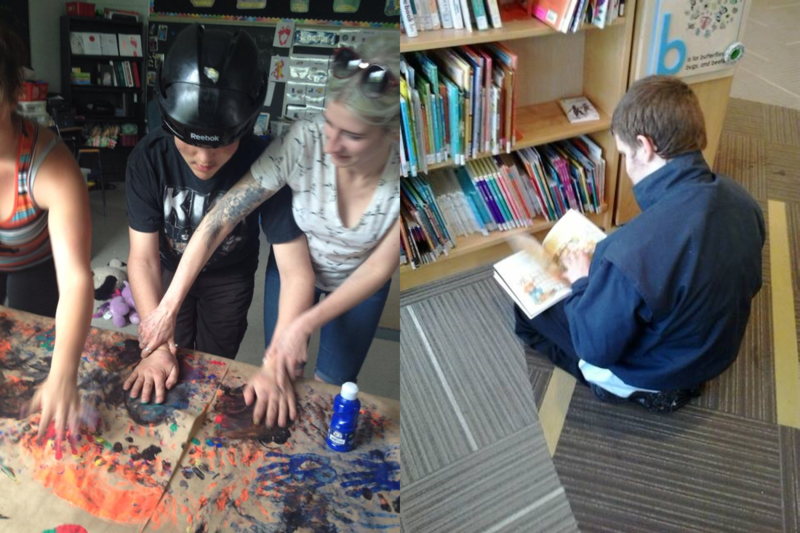 Main Street Community Services’ Social Learning Program is offered in Kanata and is set up as a classroom environment to help youth adjust to the classroom setting prior to transitioning into a full-time school. Within this program, individuals participate in: fitness activities, community outings, swimming outings, crafts, and other activities. As well, individuals complete academic lessons which are provided to each client based on their individual needs and abilities, with worksheets provided on the topics of math, English, history, and science. Social learning is taught as part of Natural Environment Teaching in which staff work with individuals to model and explain appropriate social behaviours and communication as challenges occur throughout the day. Some examples of pro-social life skills that are taught include: understanding and expressing feelings, conflict resolution, and problem solving. In addition, staff teach and model appropriate communication, effective coping skills and strategies, emotional regulation techniques, and daily life skills, including: cooking, baking, cleaning, and personal hygiene. The Adult Day Program operates in Kanata and is run in a structured, scheduled format that is enriched with simple, practical self-help skills. The following options are offered and worked on daily, with each program tailored to meet the needs of each individual: cooking, nutrition, kitchen safety, personal hygiene, physical fitness, community awareness and integration, crafts, leisure and recreational involvement, and communication. In addition, individuals have the opportunity to participate in weekly music therapy and Bowen Therapy sessions. The Adult Day Program also aims to instill in individuals a desire to participate within their community by participating in community outings and learning the skills required to engage in the community successfully. 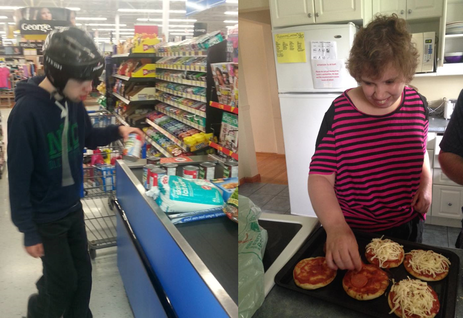 In addition, it aims to develop and maintain the individual’s language and communication skills (both verbal and non-verbal), develop and maintain knowledge regarding body awareness (hygiene skills), develop and maintain nutritional awareness skills and develop meal planning, engage in grocery shopping and meal preparation, and develop servings skills and table etiquette. Furthermore, the program also aims to develop and maintain competencies in relating with others, to develop and maintain competencies with regard to the use of leisure time, both while alone and in a group setting, with an emphasis on a need for cooperating when interacting with others, and to develop skills necessary to progress and function in a pre-vocational setting. The Developmental Day Program is offered in Kanata and is designed for individuals with more complex needs and focuses on identifying each individual’s needs and strengths and decreasing challenging behaviours to ensure needs are being met. In a highly structured, supportive and predictable environment, individuals will have opportunities to: improve motor skills, enhance self-regulation, improve communication skills, access sensory toys and programs, participate in recreational activities, go swimming, participate in a weekly music therapy program, and take part in Bowen Therapy. The Developmental Day Program also helps to develop daily living skills, such as how to brush your teeth, wash your own face, what proper bathroom hygiene includes, and proper table etiquette. Skills are taught as part of Natural Environment Teaching. 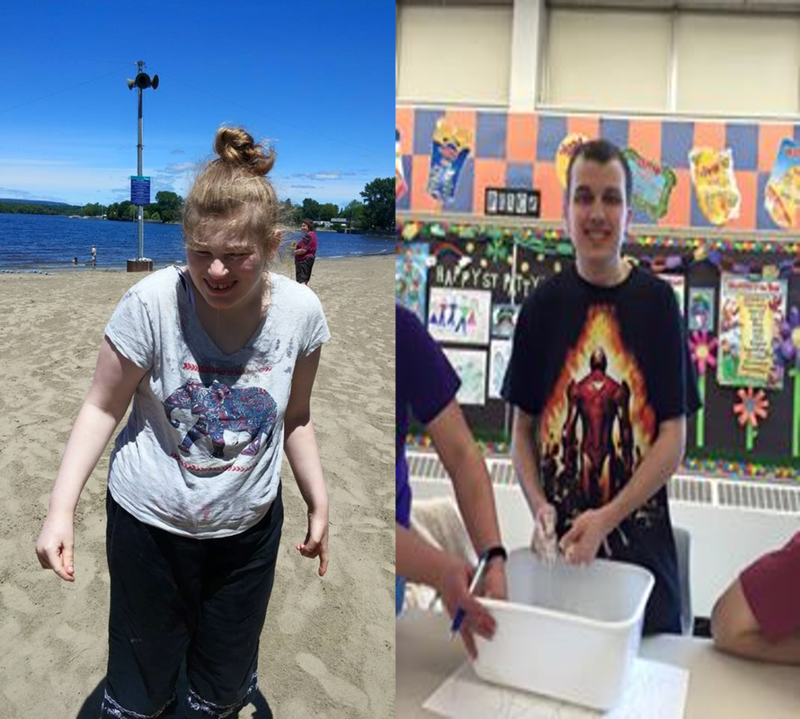 Individuals are integrated into the community setting through outings, such as going to Saunders Farm, to Pink Lake, to the movies, bowling, and to museums. Programming is modified to adapt to the needs of each individual and to improve their specific goal areas. For instance, a person who has sensory needs has more sensory-based activities incorporated throughout their daily routine. Activities offered to individuals are designed to develop their motor skills and academic worksheets are provided to improve their numeracy and language skills. Throughout the day, communication skills are taught using various techniques and strategies to meet the needs of each client. Techniques include: using visual schedules, ipads, pictures, modified sign language and gestural prompts. As part of teaching communication skills, speech therapy techniques are also utilized, including: prompting, using a mirror, and mimicking. Main Street Community Services offers an After School Program for individuals who could benefit from social learning and skill enrichment. This program offers a fun, safe, and therapeutic environment where individuality and uniqueness is respected and nurtured. Individuals are provided with opportunities to develop satisfying interpersonal relationships by enhancing skill proficiency in a variety of areas that foster social competency. As well, individuals participate in recreational activities such as: walks, arts and crafts, relaxation, playing sports in the gym, and engaging in developmental play. Services are provided on site and are available from 2:00-6:00PM, Monday to Friday (excluding holidays). ​ that offers a variety of recreational and social activities as well as incorporates community outings. Individuals have the opportunity to participate in recreational and physical activities, arts and crafts, board games, and movies. 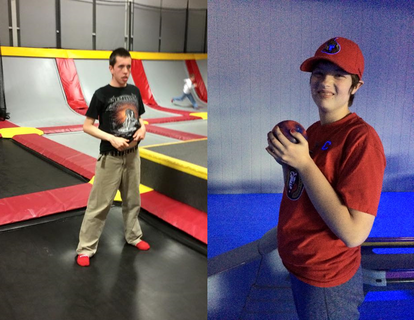 Summer camp runs during the summer months in Kanata and provides individuals with a fun, safe, and therapeutic environment where their individuality and uniqueness is respected and nurtured. 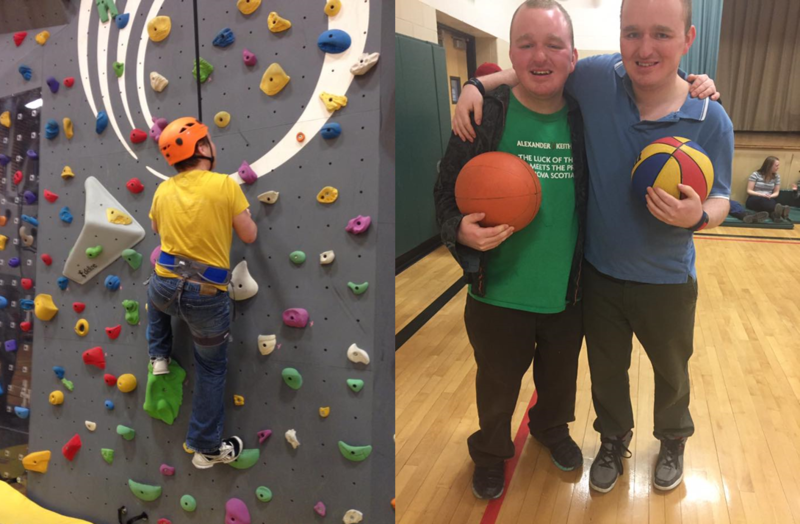 Individuals are also provided with opportunities for sports and recreational activities, arts and crafts, swimming, relaxation, cooperative activities, developmental and socially appropriate play, and music therapy. All elements of the program are inclusive of the cost of registration and are made available to every individual over the course of the summer camp. Main Street Community Services offers two youth groups in the Ottawa area during the school year to members of the community. The groups are therapeutic and recreational and separate groups are provided to male and female youth. The groups focus on social learning in which social skills are taught by modelling and teaching appropriate social interactions and communication amongst peers, having group discussions, and allowing individuals to spend time together and have fun while participating in recreational activities. As well, community outings are also offered throughout the duration of the groups. 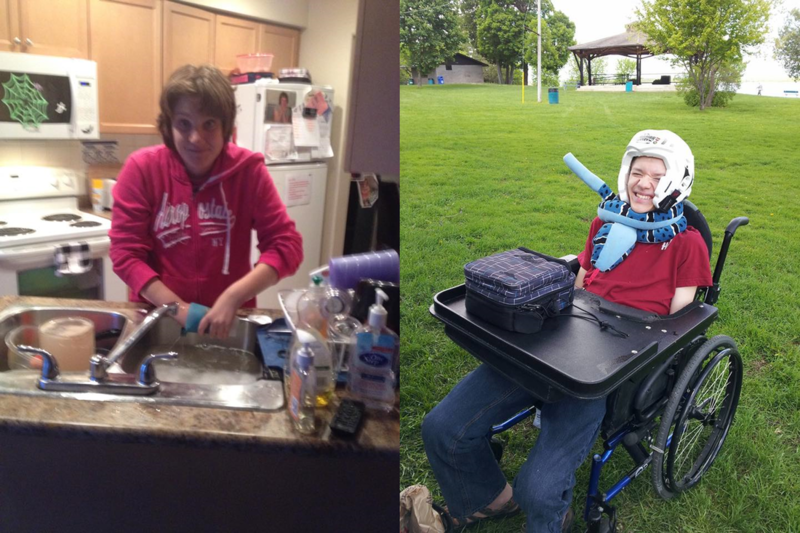 Main Street Community Services’ operates 11 residential homes in Ottawa West, including in Kanata, Stittsville, Carp, and Richmond. Residential care is provided to individuals with special needs who require full-time support due to the complexity of their needs. Our homes provide a 2:1 client to staff ratio. Individual programs are designed for each of our residents as part of their evening routine, such as completing chores. Daily living skills, communication skills, social skills, and coping techniques are taught on an ongoing basis and the behavioural strategies previously discussed in this document are also implemented within the residences. 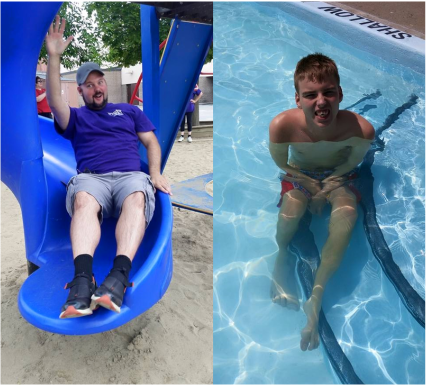 In addition, Main Street Community Services provides parents of special needs individuals with the opportunity for some much needed rest and relaxation through respite services. Our respite homes offer a safe and nurturing home environment, friendly neighbourhoods, a highly structured, supportive and predictable routine, opportunities for individuals to develop qualitative play skills and daily living skills, community outings, and activities to help enhance communication, socialization, and decrease challenging behaviours. Each individual’s needs and strengths are identified to ensure they receive the best programming, tailored specifically to them. Services are offered 24 hours per day and seven days per week, including holidays, however, spaces are limited and are based on availability. Please note that we offer our Day Programs on P.A. Days. Individuals attending our programs on these particular days will participate in arts and crafts, recreational activities, engage in both independent and group activities, can participate in games and watching movies, and will have access to sensory activities. Please contact us for further information.